MEDFORD/SOMERVILLE, Mass. 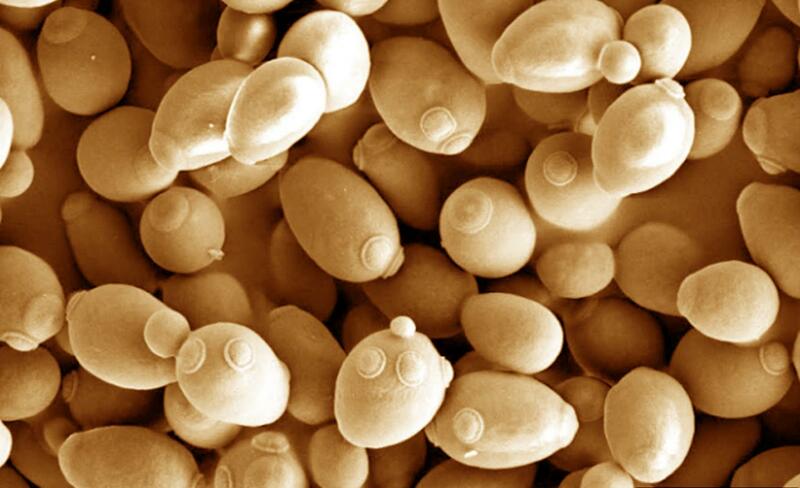 (March 26, 2018) — Researchers at Tufts University have created a genetically modified yeast that can more efficiently consume a novel nutrient, xylose, enabling the yeast to grow faster and to higher cell densities, raising the prospect of a significantly faster path toward the design of new synthetic organisms for industrial applications, according to a study published today in Nature Communications. In synthetic biology, organisms such as bacteria or yeast may be transformed into "mini-factories" when fed nutrients to produce a wide range of products, from pharmaceuticals to industrial chemicals and biofuels. However, a central challenge has been the efficient conversion of abundant feedstocks into the final product, particularly when the feedstock is not something the bacteria or yeast normally "eat." In this study, the researchers noted that conventional approaches to modifying organisms to consume novel nutrients constitutively (i.e. with no "off switch") can lead to inefficiencies when the nutrient metabolic pathways are not linked to downstream pathways for stress-responses, cell growth and other functions important for the health of the organism. Taking a different approach, the researchers took a set of regulatory genes, called a GAL regulon, that normally processes galactose – a favorite on the yeast menu of nutrients – and replaced some of the genes with those that become activated by, and direct the breakdown of, xylose. All other genes in the GAL regulon were unchanged. In doing so, they preserved a more natural interaction between the genes that govern feeding and those that govern survival. The new synthetic regulon, dubbed XYL, enabled the yeast cells to grow more rapidly and to higher cell densities. "Instead of building a metabolic framework from the ground up, we can reverse engineer existing regulons to enable an organism to thrive on a novel nutrient," said Nikhil U. Nair, Ph.D., assistant professor of chemical and biological engineering at Tufts and corresponding author of this study. "Adapting native regulons can be a significantly faster path toward the design of new synthetic organisms for industrial applications." One such application is the production of ethanol as a biofuel. Concerns have been raised that diverting significant portions of crops, such as corn, to biofuel production could have a negative impact on availability and cost of the food supply. However, xylose is a sugar derived from the otherwise indigestible parts of plant material. The ability to ferment xylose can be a path to biofuel production that does not compete with the food supply. As part of the study, Nair and his team took a closer look at what exactly accounted for the improved survival of the xylose-eating yeast organism. They found numerous genes activated in the XYL regulon-controlled yeast that upregulated pathways involved in growth, such as cell wall maintenance, cell division, mitochondrial biogenesis and adenosine triphosphate (ATP) production. Yeast strains that had constitutive (mostly unregulated) control of xylose metabolism triggered pathways related to cell stress, starvation and DNA damage. "Our study applied this approach to xylose, but it suggests a broader principle – adapting native regulons for the efficient assimilation of other non-native sugars and nutrients," said Nair. "Nature has already done the work of tuning genes and metabolic pathways to the environment of the organism. Let's make use of that when introducing something new on the menu." The work was supported by the National Science Foundation (CCF-1421972), Tufts Collaborates!, and The Shirley and Stanley Charm Scholarship in Food and Biotechnology. Venkatesh Gopinarayanan, a graduate student at Tufts University School of Engineering, is co-author in this study.